Bears that have been unable to hibernate because of hunger have authorities worried about the safety of residents in remote villages. Wildlife authorities in some of Russia’s more remote and wild regions are warning residents to stay inside after dark after several encounters with wild animals have resulted in attacks on humans, livestock and guard dogs. Authorities in areas such as Kamchatka and Bashkiria have said aggressive animals are shot, even from the air. The situation has worsened with the arrival of the cold season: Hungry predators are searching for food as their resources in the forest have become increasingly difficult to find, so the animals are searching for food in the villages. In Kamchatka this year, authorities have recorded a large number of anomalous bears that have not gone into winter hibernation. So far, the bears have killed three and seriously injured two more. However, the bears’ main target has been livestock and poultry. 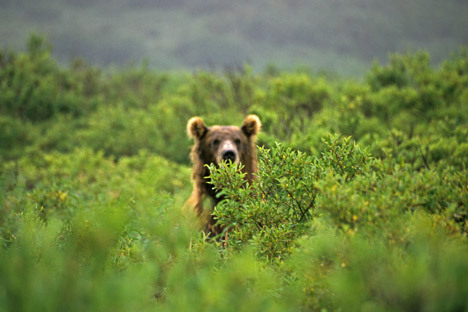 Local scientists and hunters said they believed that the bears are unable to hibernate because they are still hungry. This year Kamchatka rivers supplied few fish, and the bears had a hard time finding enough berries in the forests. Many predators did not have time to store up the fat and now roam in search of food, even near settlements. The region has introduced a special position: Kamchatka authorities have decided to shoot all the bears that are not still in "voluntarily" winter sleep. They have already killed 140 predators. In Bashkiria in mid-October, a mushroom collector was attacked and killed. While bears remain a problem, wolves are considered by some authorities to be a greater threat. Their victims are primarily domestic dogs, which are within the yards of homes on the iron chains and cannot fight the wolves. In the Komi Republic, wolves have already bitten three pet dogs. In Kaliningrad wolves ate 35 sheep and 20 cows. In Tuva there were 15 attacks by wolves on livestock. In Lugansk region wolves tore up nine sheep. According to the locals, this is the first case where predators attacked domesticated animals within inhabited areas. In areas where wolves’ attacks are random, local authorities do not issue formal permission for killing predators. Frightened residents are recommended to follow simple safety precautions: Do not go out at night, do not let the children out unaccompanied, lock pet dogs in homes, and when you meet wild animals - call the authorities. Bears, unlike wolves, rarely go to the towns, so precautions to communicate with them are different: Do not go into the woods alone; and during a walk through the woods, talk loudly or even sing so that the animals can hear. If you see a bear do not make any sudden movements, move away slowly and smoothly. If a bear attacks, it is better to fall on the ground and pretend to be dead. Chances of escaping from a bear or hide in a tree are minimal. However, there are regions where the same recommendations are not enough. The number of dangerous animals exceeds all the established standards, and must be reduced by force. Shooting can be done by the police or hunters. Under the federal law, you can only kill wolves from a gun - using traps and poisons is strictly prohibited. For these purposes separate funding is given in the regions. For example, in Yakutia the struggle with wolves will be funded with 32 million rubles. Besides guns, local authorities want to use light aircraft to shoot wolves. According to him, wolves play an important role in the food chain. “Let us take the example of the Oryol region. Once the wolf comes here, then the number of the stray dogs, cats and rabid foxes is sharply reduced,” he said. “They sometimes eat pet dogs. However, from the viewpoint of natural selection, it is a normal process. Dogs are socially adapted to people and poorly adapted to life in nature, so they are killed by a stronger link in the food chain - the wolf, and in the Far East — the tiger”. Vyshegorodskih noted that as soon as the territory becomes almost free from wolves, rats, foxes and wild dogs will take their place, which will assume the role of the predator and will also attack humans. "In this situation wolves are rather good," he said.